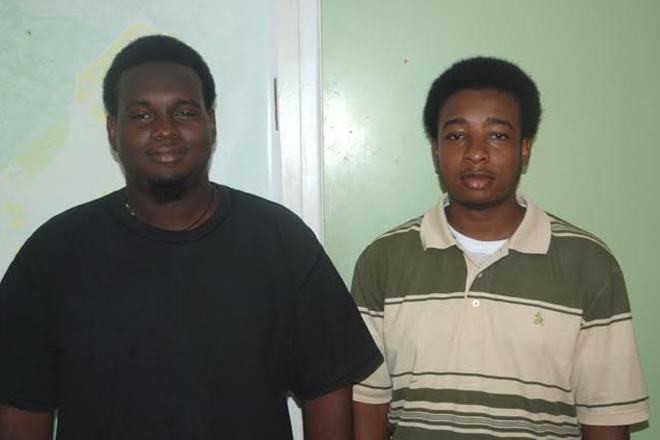 NIA — Dezjorn Jeffers of Prospect Village and Kyle Liburd of Hickmans Village will leave Nevis September 10, 2016, to pursue four-year degrees in Agriculture at Earth University in Costa Rica. They will be joining three other students who are pursuing the same degree there. On September 07, 2016, the Department of Information spoke with their fathers who expressed gratitude for the opportunity afforded to their sons to pursue tertiary education overseas. “It’s a good opportunity for him. I expect him to do well and come back and contribute to the development of agriculture. “We are grateful to the donor for providing the scholarship and to the Agriculture Department who would have done some work in making it possible,” Floyd Liburd said. Meantime, in a recent interview with the department, Permanent Secretary in the Ministry of Agriculture Eric Evelyn noted that the ministry boasts a cadre of well-trained personnel and continues to look at ways and means of adding to that pool of trained technicians in the department. He congratulated the students and explained that Jeffers and Liburd were accepted to study at the Costa Rican university after they had passed the application process. “Part of that process included a professor from the university journeying here to Nevis last month to conduct interviews with the two students who applied. “She journeyed back to Costa Rica and analysed the information and the results of the interviews that were conducted and thankfully the two students are successful,” he said. The permanent secretary believes that the most recent opportunity for the Nevisian students came about as a result of a visit by Minister of Agriculture on Nevis Hon. Alexis Jeffers and himself to Earth University earlier this year. “The registration process would have gone but because of some discussions myself and the minister had with the officials from Earth University, they were able to extend the deadline. “When I returned, I was able to do some additional promotion, and so, we were able to get these two young men who are interested. They applied and they are extremely delighted that they are successful,” he said. Evelyn also used the opportunity to express gratitude to donor Ms. Ann Bass for sponsoring all the scholarships for Nevisians studying agriculture at Earth University. He said her generous gift provides Nevisian students with an opportunity to get a university education.